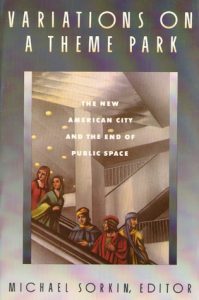 The term public space only starts to pick up frequency/proportion of books published in the mid 1970s, and overtakes open space in the late 1990s. The peaks in usage of open space are in 1913 and 1945. 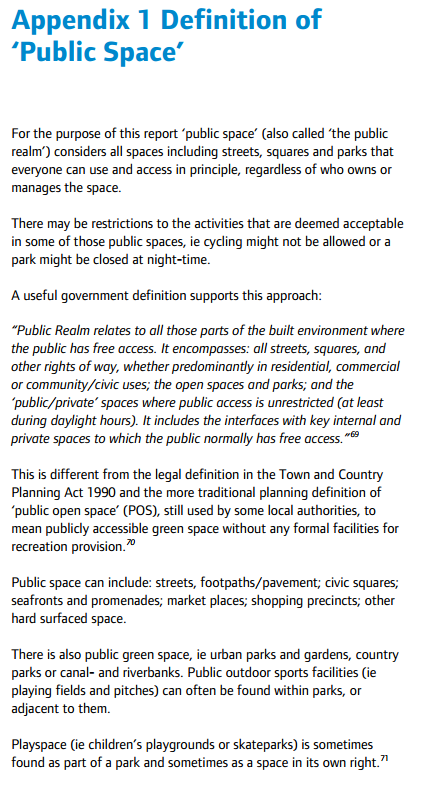 The term ‘privatisation of public space’ only hits the bookshelves in (British) English in 1998. James Greenhalgh’s book, Reconstructing Modernity: space, power and governance in mid-twentieth century British cities (Manchester UP, 2017) is a thought-provoking account of the development of postwar planning, especially in Manchester and Hull. His main point concerns the continuities between planning in the 20s/30s and the postwar periods. Yet what struck me the most from his research – and which I need to do more of in this project – is his focus on everyday spaces. So rather than outlining, as many planning historians do, the well-known architectural experiments of Modernism in planning and construction, he examines the ordinary indoor and outdoor spaces that shaped residents’ lives in estates like Wythenshawe or on the temporary prefab developments. He trawls through planning disputes and estate archives for local controversies over the uses of cleared bomb sites, grass verges and other ambiguous spaces (though he uses the term ‘liminal’ to describe these, which I will not). 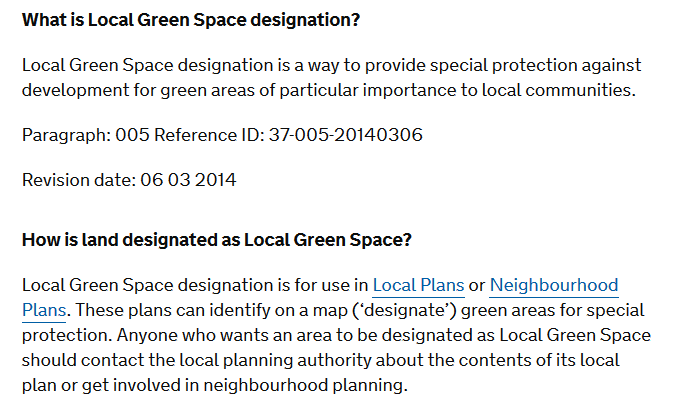 What further jumped out at me – and here’s the benefit of looking at this topic from a long-duree perspective – are the parallels with early modern/18th century types of protest or resistance by residents against the pre-planned uses ascribed to spaces by landowners, developers and the council. that it is most undesirable that any tenant of adjoining property should be permitted to establish would become a precedent, for other people could justly claim a like privilege. 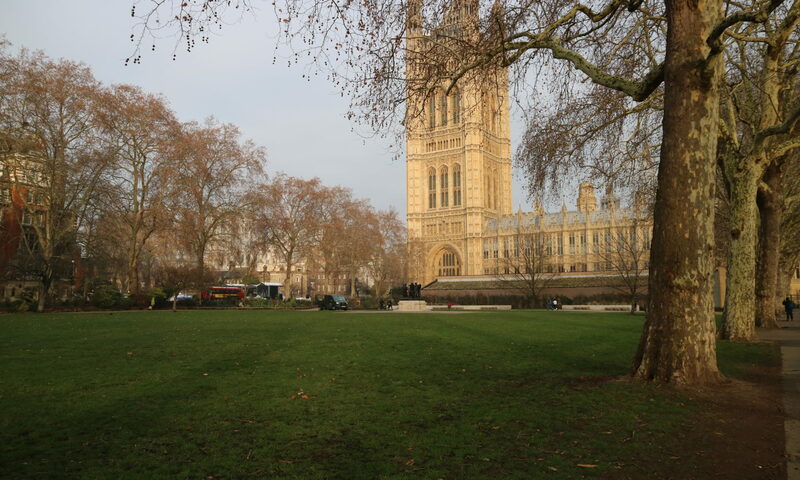 this would endanger the growth of the whole belt of trees and defeat the scheme of development of the Estate. a view that over-rode attitudes of the greenery beautifying the estate. 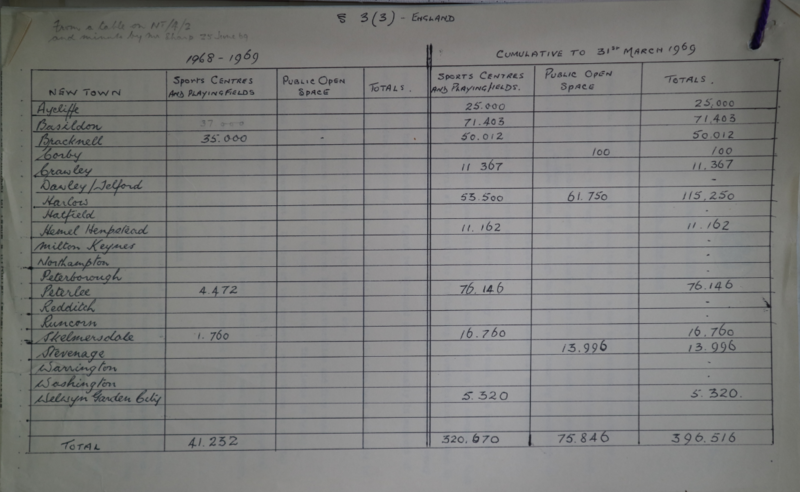 Interestingly, the Corporation reported that ‘constant patrols have been organised to cover all the development areas and spinneys’, to prevent further degradations. (p. 174). 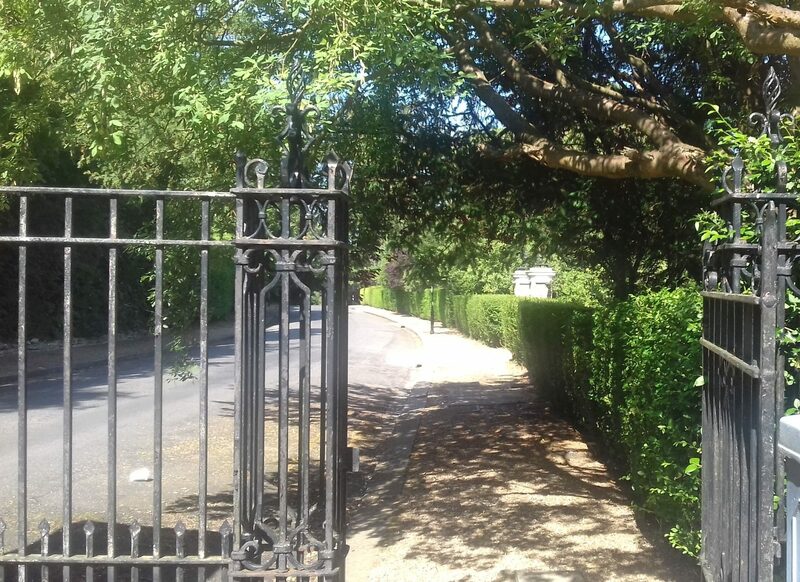 There were further debates over trespass over private gardens, and the degradation of grass verges by local residents taking short cuts that turned into what we now call desire paths, thereby again subverting the ways in which the planners intended residents to walk through and around the estates. releasing of animals for pasture. Briony McDonagh, ‘Making and Breaking Property: Negotiating Enclosure and Common Rights in Sixteenth-Century England’, History Workshop Journal, Volume 76, Issue 1, October 2013, Pages 32–56. The continuities of tactics in these very different circumstances and places is intriguing – the claiming or reclaiming of land through ritual and habitual forms of work and play: digging up soil for planting, overturning (or intriguingly in the postwar case, creating) fences and hedges, trespassing by using old paths or creating new ones. The repeated use or ritualised actions, deliberate or not deliberate, echoes the emphasis in histories of early modern and 18th century on the role of ritualised bodily actions in community justice and protest, for example in the moral economy food riots and in enclosure riots. Hence the gathering of firewood from the trees by the Wythenshawe residents has echoes of gleaning and fuel gathering (albeit not customary reclaiming rights they had felt had been taken away). The main difference perhaps is the type of property: in the mid-20th century, the residents are enacting these forms of small resistance against the purposes ascribed to these essentially new spaces, marked out as new estates by the Corporation. As council tenants for the most part, they also occupied a different status than the tenants of the lord of the manor. There is an old debate in the historiography about the extent these sorts of actions constituted ‘social crime’ or popular resistance, or vandalism or juvenile delinquency. Greenhalgh stresses the role of young people in such actions, and the differing views of authority on whether or not their actions were legitimate, criminal or vandalism. More recent work for example by Iain Robertson, drawing from Karl Jacoby, has described such actions as Highland crofters protecting land usages and Forest of Dean Free Miners asserting their customary rights as enacting a ‘moral ecology’. 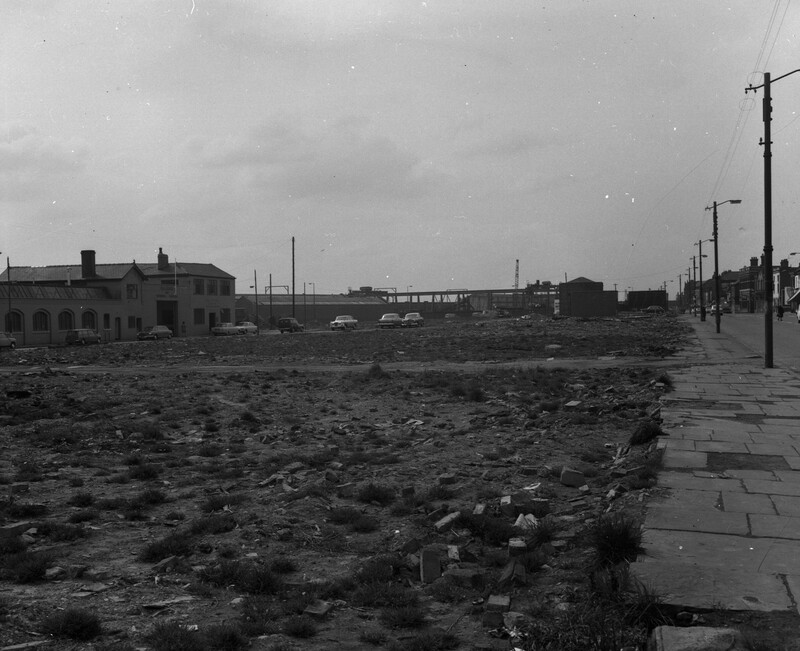 The residents of Wythenshawe and other estates in the postwar era perhaps were not consciously or deliberately enacting a moral economy by any means: it was often, just taking a short cut or growing some veg on the side, but there is still a sense of resistance against the definitions of space and how they were planned to be used by the developers and Corporation. 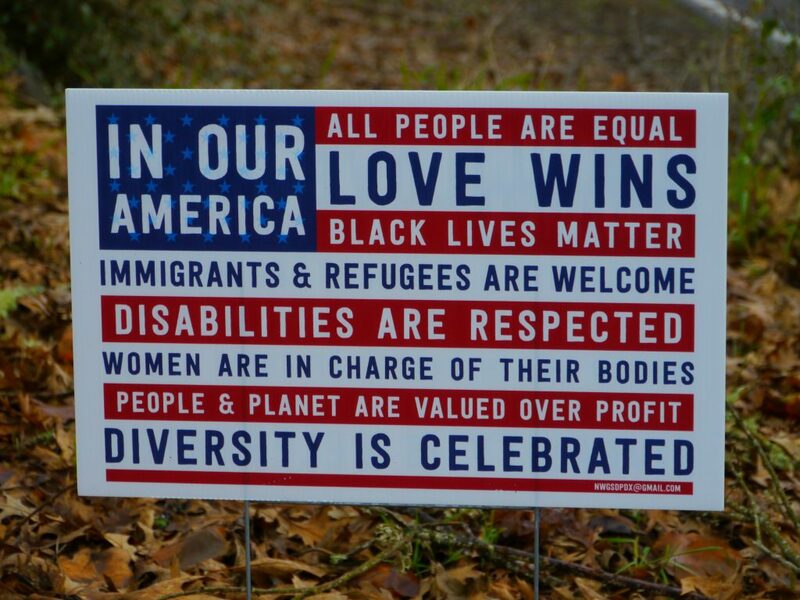 I may come back to how the placing of these placards in front yards of people’s homes in residential neighbourhoods change the nature of public space in different ways to posters displayed on shopfronts. Hopefully there is already work being done in sociological and cultural geography studies about the identity politics of the campaign propaganda. The scholarly literature on American cities and gentrification is much more advanced than that of the UK in cultural geography, urban studies and sociology. From David Harvey onwards, there are numerous strands on the neo-liberal city, including by Setha Low and others. I’ll keep updating my bibliography on this, but if you have suggestions of useful material to read on this more specific issue of policies to address unaffordable housing with altered planning, do comment below. But the point of view of the residents in the neighbourhoods making these protests is also clear and understandable in terms of the impact on their public space and established forms of community. 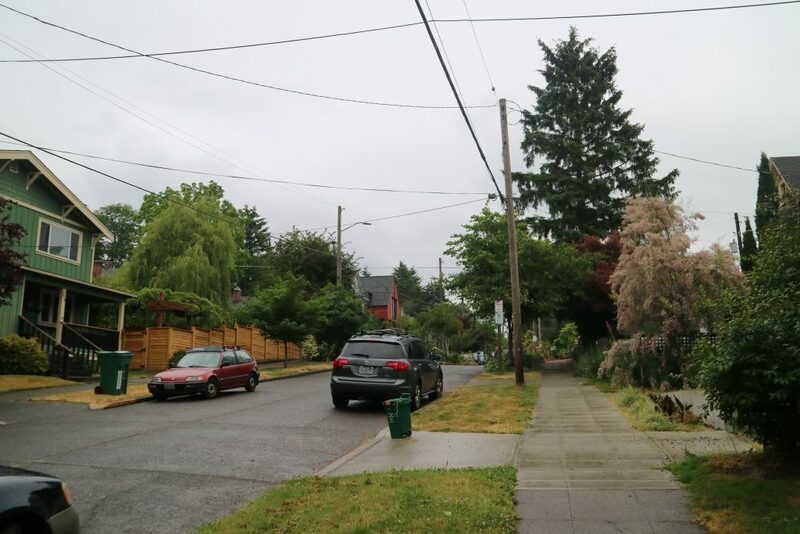 It was really noticeable walking around that after going through a leafy neighbourhood with older wooden detached houses, some derelict, one would turn a corner and there would be large construction projects of apartments. And it would always be flats. So the level of greenery would be lessened; more density changes the functions and functioning of the local communities. In such cities with a very high cost of living (and the mass homeless issue in Portland and Seattle is another separate issue), problems of housing are acute and it is interesting to compare the debates around affordability, supply, zoning and city policies with what has been going on at home, not least in Croydon where every other office block has been bought up and changed into ‘luxury’ flats following the relaxation of restrictions on change of use a few years ago, spearheaded by the then MP and housing minister Gavin Barwell. I’m piecing these somewhat disconnected bits of my holiday with current local issues at home with my research because I’m currently reading Peter Saunders, Urban Politics: a Sociological Interpretation (Hutchinson & Co, 1979), which is a sociological case study of planning policy in late 1970s Croydon. It has a whole chapter on why and how ‘the deep south’ stockbroker belt of Purley and Sanderstead opposed building on the Green Belt on their outskirts, using the justification that they were not nimbyists, but also preserving open space for the benefit of the poorer residents of the north part of Croydon, Thornton Heath and South Norwood. 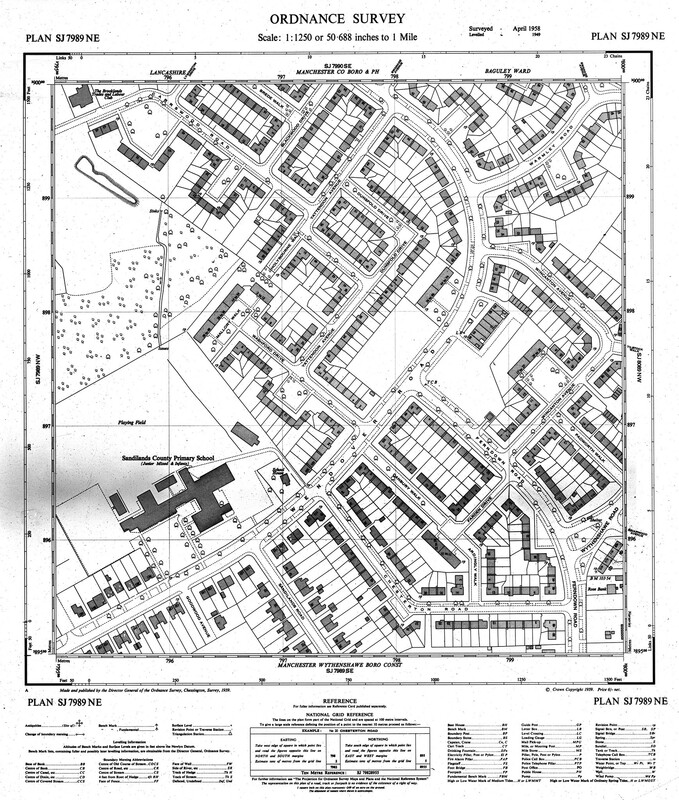 Yet because in effect the great and the good of the ‘deep south’ were part of the political elite, they were able to influence council policy, and the effect of rejecting development plans in south Croydon intensified the problem of lack of housing and public space in the north of Croydon. (pp. 242, 248). why and how do local residents’ groups oppose policies on affordable housing or the building of different forms of residence such as apartment blocks? 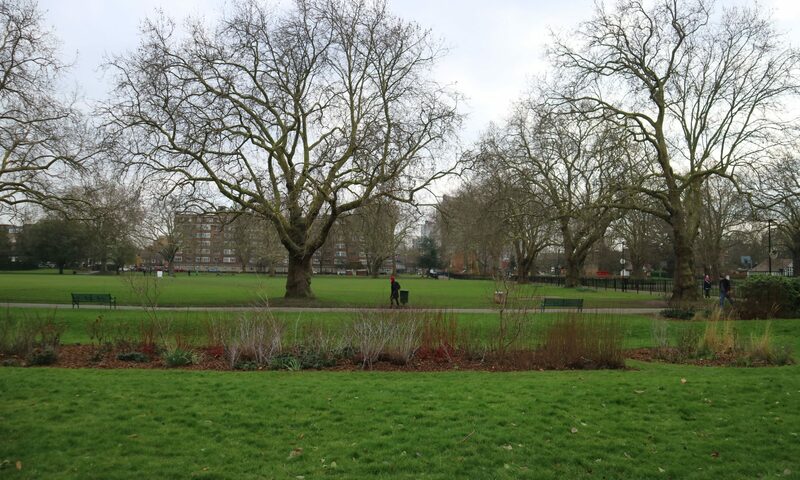 how do such communities view what public space is and how they use it? why do people put placards in their front gardens? Does this change the nature of the public space around them and the street? Do placards in front gardens make the street political? Does it work? 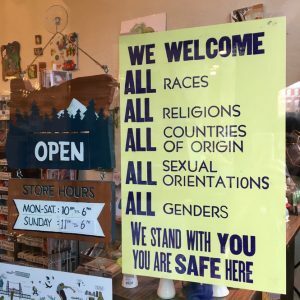 what happens if someone with a ‘we welcome…’ placard is neighbour to someone more conservative? 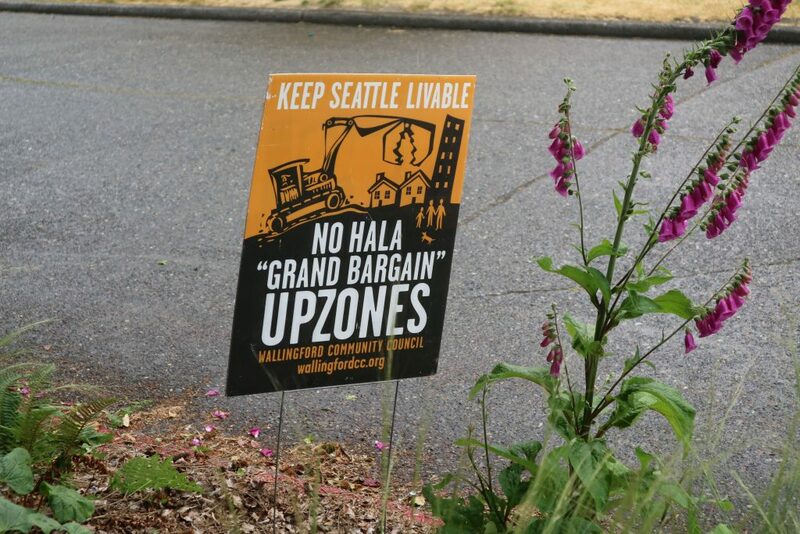 how do groups like the anti-HALA campaign in Seattle operate; are they NIMBYists or how do they conceive their aims and role? I’ve been ruminating on a relatively recent issue of Environment and Planning A (49: 3, 2017), which outlines and challenges the debate in geography and sociology about the ‘end of public space’. 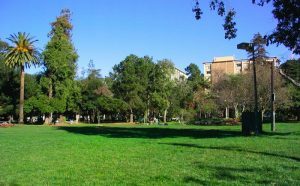 Don Mitchell’s article revisiting his previous work about People’s Park, CA is perhaps the most strident in the issue to argue against the prevailing acceptance that privatisation has killed off urban public space. There’s a kernel of ‘mea culpa’ in his reflection on the impact of his original 1995 study of the riots in People’s Park of 1991, and other riots of that era such as in LA in 1992 (Mitchell, 1995). This study was part of a range of geographical and sociological works proclaiming the ‘end of public space’ in the 1990s. Before this period, contemporary studies of public space had not been so pessimistic. Oscar Newman’s 1970s polemic about ‘defensible space’, though influential in architecture, stood alone in its critique of hostile architecture. Yet from the 1990s onwards, volumes of material has been produced on privatisation of public space: private policing, anti-homeless spikes and benches, Business Improvement Districts and ‘pseudopublic’ ‘malls without walls’. At the same time, sociological studies of popular protest were identifying a shift in policing tactics, from the 1960s tactic of ‘escalation of force’ (i.e. beating protesters up) to ‘negotiated management’. Police were increasingly enabled by two frameworks governing public space: new legislation governing rights to assembly and speech, and local authorities zoning space for (peaceful) protest. In turn, they moved to negotiation with protest organisers over the form of protest: ‘Both strategies eventually reworked the relationship between public space and politics, emphasising public space as a space of control, limits and again order’ (Staeheli and Mitchell, 2008; Mitchell, 2017, 506). Davis argued that private encroachment by capital into the public realm was remaking the city as a violent frontier of capital accumulation (Mitchell, 2017, 504). Sorkin posited gentrification as a process that turned urban space into Disney World style commodification. The image [of public space before privatisation] seems to be one of open or relatively open access, of little capital control over the full functioning of the space, of light policing. Public space is primarily defined by what it is not: private space. The end of private space in the American city is its privatisation. (Mitchell, 2017, 504). Mitchell’s focus is on the US, where much of this early literature originated. 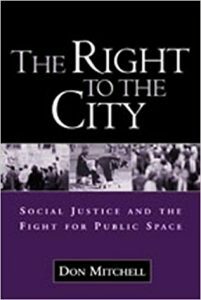 In the UK, the theoretical literature on private-public spaces has come a little later (though I need to do more research on this), and has been publicised even more recently in the press by the work of Owen Hatherley and Anna Minton, and to some extent, the Guardian’s ‘Cities’ section. Where Mitchell disagrees with this literature now is that it assumes that the process ‘from above’ is a given. 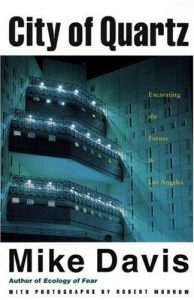 At the very point in the 1990s when it seemed that privatisation was closing down all avenues for expression, in fact the emergence of ‘new social movements’ and the ‘invention of new modes of urban sociability’ reworked the meanings and userships of public spaces. Mitchell argues that public spaces are still evolving and continue to be challenged and used in different ways. Florian Langstraat and Rianne Van Melik have already participated in this critique of the ‘end of public space’ thesis in a 2013 article. They also challenge Sorkin’s ‘rather bleak picture of modern life … characterised by social exclusion, sanitised consumerism and restrictive security measures’ (Langstraat and Van Melik, 2013, 429). the dominance of studies on Anglo or American sites. (Langstraat and Van Melik, 2013, 431). Drawing from Paddison and Sharp’s study of two neighbourhoods in Glasgow (2007), they argue in particular that most public space is not located in the city centre, and is therefore not as well known, and ‘processes such as privatisation might work out differently in these ‘banal’ spaces’ (Langstraat and Van Melik, 2013, 432). I think perhaps they go a little too far in swinging the pendulum the other way – their argument ‘such claims [about the privatisation of public space] should only be made, if at all, for a very limited number of newly regenerated inner city areas (Langstraat and Van Melik, 2013, 432)’. The work of Minton and others on pseudo-public spaces has shown how the process is dominant in most city centres in the UK and USA, although I accept their (and Mitchell’s) challenge to examine these sites in new ways, looking at how the public uses such spaces in practice, ‘reinventing new forms of urban sociability’. But their pointing to the ‘banal’ spaces of suburbs (and by extension, rural spaces?) 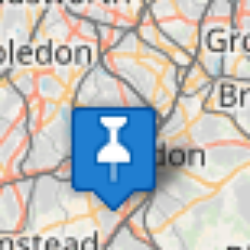 is promising, and something I definitely want to investigate. Florian Langstraat and Rianne Van Melik, ‘Challenging the “End of Public Space”: a comparative analysis of publicness in British and Dutch Urban Spaces’, Journal of Urban Design, 18: 3 (2013), 429-48.